Do i have to add any teechart license/copyright information to my product in order for my product to be legally sellable? Under normal circumstances no TeeChart copyright/license message is required to accompany TeeChart distribution with an application. 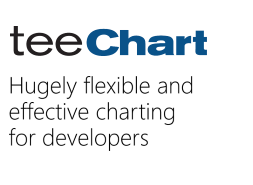 An exception to that rule might be if the application itself offers some kind of development environment in which TeeChart could be used in development mode. Steema would be pleased to respond to queries relating to the latter scenario on a case by case basis.